We’ve had a busy summer here at Weedingtech with machines sailing off to all corners of the world and exciting new territories, like New Zealand, coming under our Foamstream blanket. Whilst you were away for your well-deserved summer holiday, our Foamstream M600 was busy travelling the world, keeping the weeds at bay. First stop Canada – treating the spectacular Ottawa canals – where its quiet engine didn’t break the silence of the serene still waters; on to Rideau Hall to treat the front porch, gardens and parkways under a very watchful eye of the governor general of Canada; finally heating the weeds up in the city of Montreal. Foamstream M600 treating along the Ottawa Canals. Across the border and in to New York – getting Jericho High School’s running tracks, fence lines and baseball diamond ship shape ready for them to come back to school and ‘play ball’. Next stop keeping Manhattan’s most famous green space, Central Park clean, safe and weed free. Foamstream M600 goes back to school on Long Island. The west coast was its final stop in California, treating parks and school districts across LA and Orange counties. Where its been tackling the unwanted vegetation in the streets and parks of many of Spain’s principal cities including Sevilla, and the Estadio Benito Villamarín, the home of the Real Betis football team. Foamstream M600 – treating the rose gardens in the Parque de Isabel la Cat؜ólica, Gijón. Foamstream M600 treating the weeds in Zaragoza in the Parque Grande José Antonio Labordeta. Back on home turf, here in the UK – it’s been putting its green credentials, including its low carbon emissions, to good use in the Dartmoor National Park, the palmy groves of London’s Bonnington Square and treating invasive Clematis on an SSSI (Site of Special Scientific Interest) in Prestatyn, North Wales. 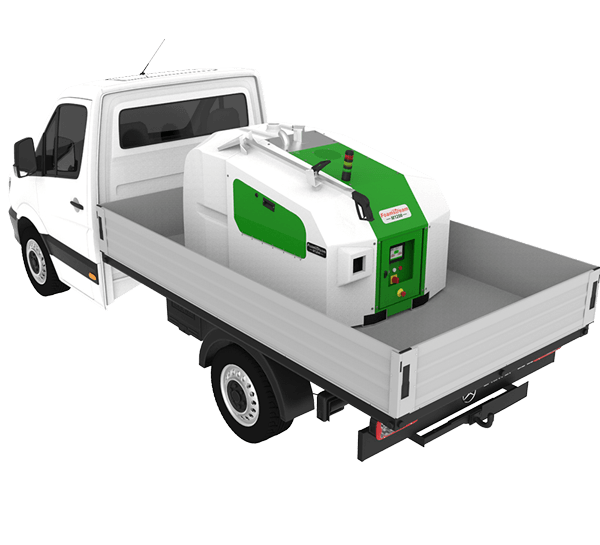 The M600 is our latest addition to the municipal range and was designed specifically to treat quickly and easily small hard to reach, noise sensitive spaces in inner cities and around schools, parks playgrounds and has been a hit with the municipalities needing a quiet, compact and easily transportable machine. To find our more click here or request a demo below. If you'd like to keep up to date with our news and latest products, sign up to our newsletter. 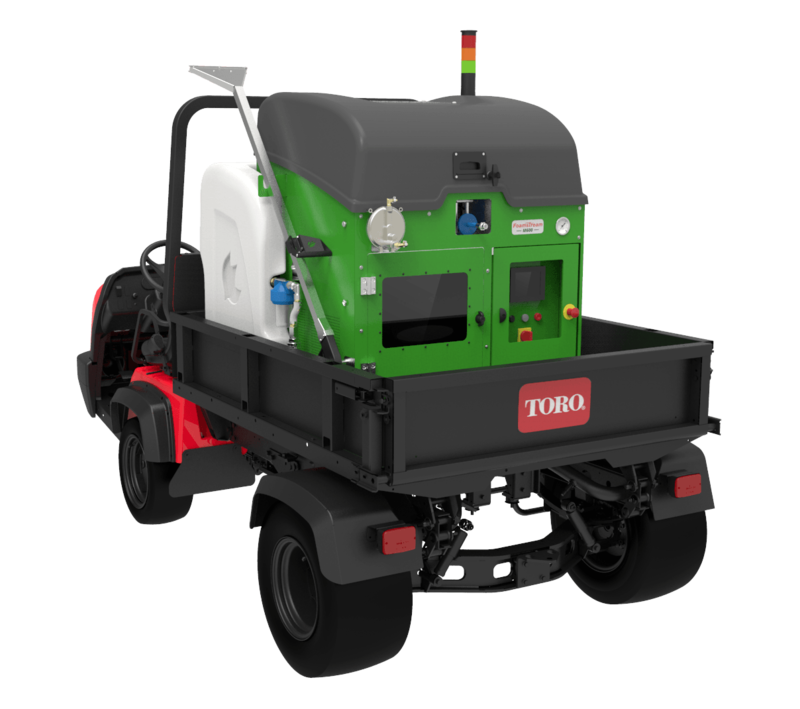 Interested in finding out more about our Foamstream M600? If you'd like to know more about our Foamstream M600 - visit our product page.